17. MALDI-TOF mass spectrometry as a tool for differentiation of Bradyrhizobium species: application to the identification of Lupinus nodulating strains. 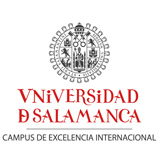 Sánchez-Juanes F, Ferreira L, Alonso de la Vega P, Valverde A, Barrios ML, Rivas R, Mateos PF, Martínez-Molina E, González-Buitrago JM, Trujillo ME, Velázquez E.
Syst Appl Microbiol. 2013 Dec;36(8):565-71. doi:10.1016/j.syapm.2013.09.003. Epub 2013 Oct 26. 16. Identification of fungal clinical isolates by matrix-assisted laser desorption ionization-time-of-flight mass spectrometry. Ferreira L, Sánchez-Juanes F, Vega M, González M, García MI, Rodríguez S, González-Buitrago JM, Muñoz-Bellido JL. Rev Esp Quimioter. 2013 Sep;26(3):193-7. 15. Underestimation of the pentose-phosphate pathway in intact primary neurons as revealed by metabolic flux analysis. Rodriguez-Rodriguez P, Fernandez E, Bolaños JP. J Cereb Blood Flow Metab. 2013 Dec;33(12):1843-5. doi:10.1038/jcbfm.2013.168. Epub 2013 Sep 25. 14. Glutathione and γ-glutamylcysteine in hydrogen peroxide detoxification. Methods Enzymol. 2013;527:129-44. doi: 10.1016/B978-0-12-405882-8.00007-6. 13. Unveiling the rat urinary proteome with three complementary proteomics approaches. Sánchez-Juanes F, Muñiz MC, Raposo C, Rodríguez-Prieto S, Paradela A, Quiros Y, López-Hernández F, González-Buitrago JM, Ferreira L.
12. Adapting glycolysis to cancer cell proliferation: the MAPK pathway focuses on PFKFB3. Biochem J. 2013 Jun 15;452(3):e7-9. doi: 10.1042/BJ20130560. 11. Novel artemisinin derivatives with potential usefulness against liver/colon cancer and viral hepatitis. Blazquez AG, Fernandez-Dolon M, Sanchez-Vicente L, Maestre AD, Gomez-San Miguel AB, Alvarez M, Serrano MA, Jansen H, Efferth T, Marin JJ, Romero MR.
Bioorg Med Chem. 2013 Jul 15;21(14):4432-41. doi:10.1016/j.bmc.2013.04.059. Epub 2013 Apr 29. 10. Mitochondrial genome depletion in human liver cells abolishes bile acid-induced apoptosis: role of the Akt/mTOR survival pathway and Bcl-2 family proteins. Marin JJ, Hernandez A, Revuelta IE, Gonzalez-Sanchez E, Gonzalez-Buitrago JM, Perez MJ. Free Radic Biol Med. 2013 Aug;61:218-28. doi:10.1016/j.freeradbiomed.2013.04.002. Epub 2013 Apr 16. 9. Substance P mRNA expression during zebrafish development: influence of mu opioid receptor and cocaine. López-Bellido R, Barreto-Valer K, Rodríguez RE. Neuroscience. 2013 Jul 9;242:53-68. doi:10.1016/j.neuroscience.2013.03.022. Epub 2013 Mar 23. 8. Brain energy metabolism in glutamate-receptor activation and excitotoxicity: role for APC/C-Cdh1 in the balance glycolysis/ pentose phosphate pathway. Rodriguez-Rodriguez P, Almeida A, Bolaños JP. Neurochem Int. 2013 Apr;62(5):750-6. doi:10.1016/j.neuint.2013.02.005. Epub 2013 Feb 12. Review. 7. Glutathione and γ-glutamylcysteine in the antioxidant and survival functions of mitochondria. Biochem Soc Trans. 2013 Feb 1;41(1):106-10. doi:10.1042/BST20120252. Review. 6. In vivo regulation of the μ opioid receptor: role of the endogenous opioid agents. Gonzalez-Nunez V, Jimenez González A, Barreto-Valer K, Rodríguez RE. Mol Med. 2013 Mar 5;19:7-17. doi:10.2119/molmed.2012.00318. 5. FXR-dependent and -independent interaction of glucocorticoids with the regulatory pathways involved in the control of bile acid handling by the liver. Rosales R, Romero MR, Vaquero J, Monte MJ, Requena P, Martinez-Augustin O, Sanchez de Medina F, Marin JJ. Biochem Pharmacol. 2013 Mar 15;85(6):829-38. doi:10.1016/j.bcp.2013.01.001. Epub 2013 Jan 10. 4. Increased urinary excretion of albumin, hemopexin, transferrin and VDBP correlates with chronic sensitization to gentamicin nephrotoxicity in rats. Vicente-Vicente L, Ferreira L, González-Buitrago JM, López-Hernández FJ, López-Novoa JM, Morales AI. Toxicology. 2013 Feb 8;304:83-91. doi: 10.1016/j.tox.2012.12.006. 3. Expression of tachykinin receptors (tacr1a and tacr1b) in zebrafish: influence of cocaine and opioid receptors. J Mol Endocrinol. 2013 Feb 15;50(2):115-29. doi: 10.1530/JME-12-0199. 2. Cocaine modulates the expression of transcription factors related to the dopaminergic system in zebrafish. Barreto-Valer K, López-Bellido R, Rodríguez RE. Neuroscience. 2013 Feb 12;231:258-71. doi:10.1016/j.neuroscience.2012.11.052. Epub 2012 Dec 7. Erratum in: Neuroscience. 2013 Jul 23;243:88. 1. Overexpression of DYRK1A inhibits choline acetyltransferase induction by oleic acid in cellular models of Down syndrome. Hijazi M, Fillat C, Medina JM, Velasco A.
Exp Neurol. 2013 Jan;239:229-34. doi:10.1016/j.expneurol.2012.10.016.